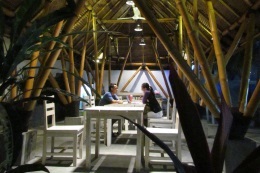 YOS Dive Lembeh is a proud eco beach resort and was designed with diving, photography and the environment in mind. 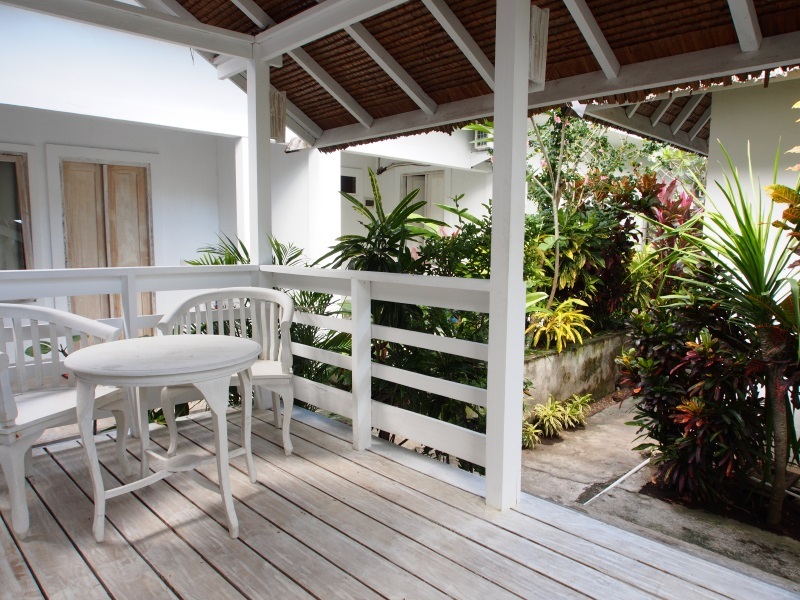 The entire resort is light, airy and modern with fresh green plants and flowers all around. The view is second to none and the food has a reputation for filling even the hungriest divers to the brim. 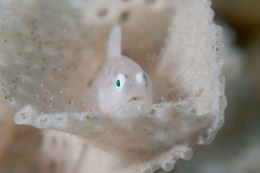 The catering for underwater photographers, who come in hoards to dive the Lembeh Strait, exceeds all expectations. 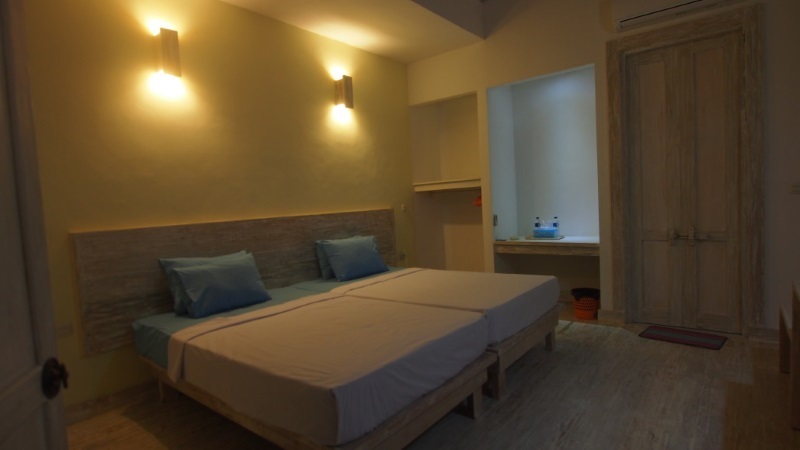 The rooms are very modern and specially designed with photographers in mind. There are large tables for taking care of your camera equipment. You will find lots of power points for charging flashes and cameras in between dives. 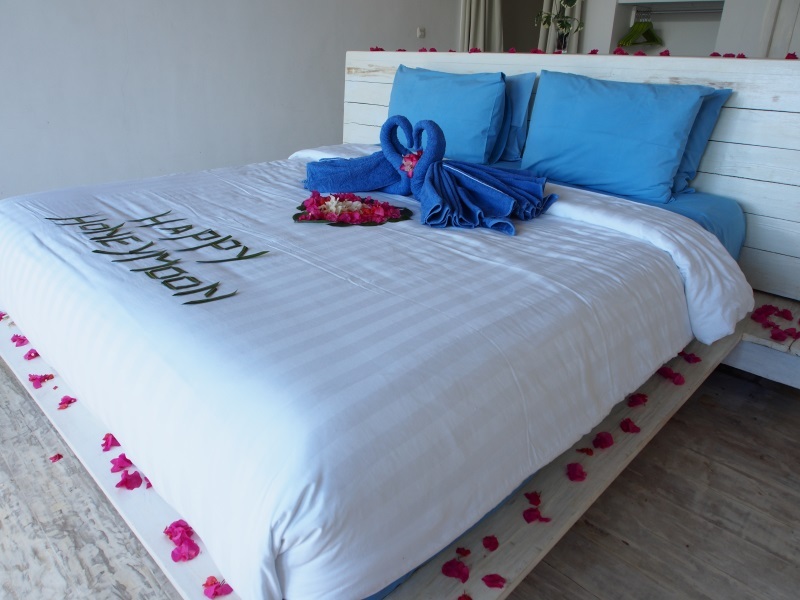 The décor is white and sparkling clean with comfy beds and a sea or garden view from the balcony. 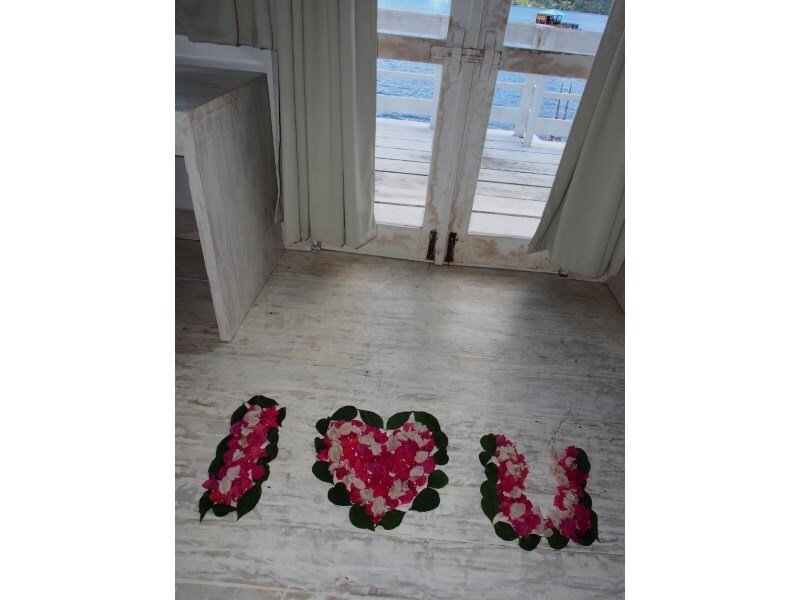 There is a fresh, green and outdoorsy feel to the rooms especially the open-air bathrooms where you can shower in the sun. The restaurant has a view to take your camera for too, high on the slope it looks over the sea and the two nearby islets. These islets just happen to be excellent diving sites, although maybe a little too far to swim! 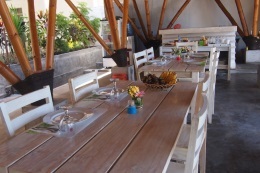 Expect a lot of seafood in YOS Dive Lembeh it is the chef’s specialty. Lobster, shrimp and fresh fish with spicy sauces are served in a different way every day. Your breakfast will be ordered the previous day and served to the table, this makes it easier to get in the water for early dives. There are also plenty of meat and vegetable curries and European options too. The chef is always happy to cook special meals for those with dietary requirements, be sure to warn them in advance to get the most out of these special meals. 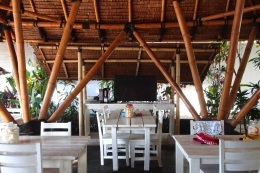 The restaurant is host to some spectacular ocean sunsets and often the social hub of the resort. This is where everyone gathers to have a cool drink swap stories and photos from their dives. 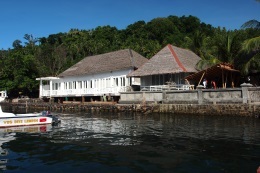 The resort is mainly geared towards diving, not surprising considering their proximity to the famous Lembeh Strait. 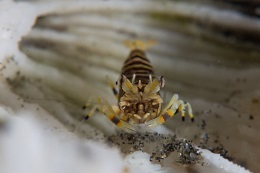 This area is nicknamed macro heaven because it is simply heaving with critters and unusual fish life. 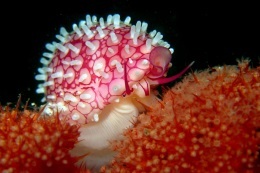 YOS Dive Lembeh has trained its staff specially in the care of delicate underwater photography equipment and has special rinse tanks just for camera gear. 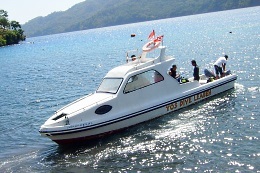 The resort has four boats which means that you will have several options to choose from when it comes to dive sites. Their guides are especially skilled at finding the smallest and rarest of creatures, you just have to make those amazing shots. They are also very knowledgeable about all the different species so feel free to pick their brains over a beer later on in the evening. If you want to spend even more time down with the stargazers, shrimp and mimic octopuses then they mix their own NITROX on site too. Lembeh Strait is its own marine park with an entrance fee to contribute towards the protection of the extraordinary marine life found here. 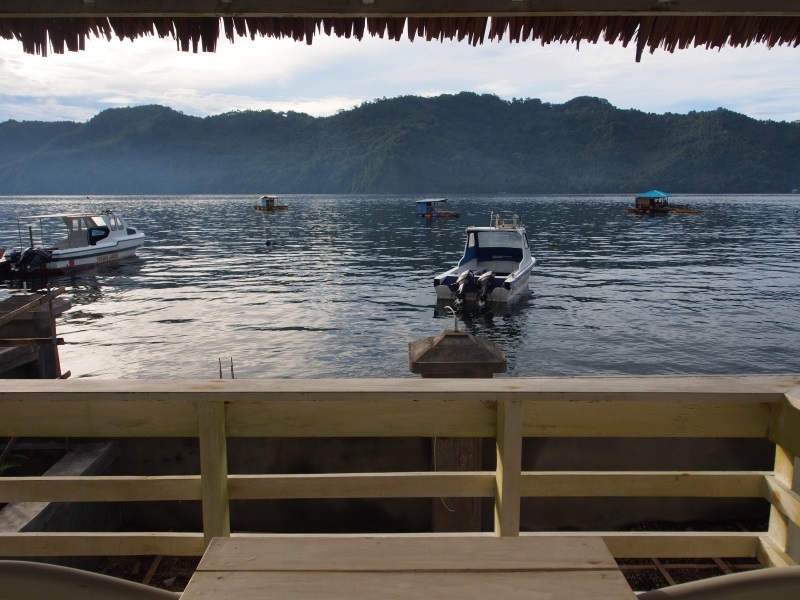 The area is a strictly no-touch zone and you guide from YOS Dive Lembeh will keep you apprised of all the park rules and regulations. The groups are unusually small with YOS Dive with only two divers per guide. This is not only for your enjoyment but to reduce the impact of diving on the wildlife. These policies mean that you will be able to get respectfully close to the underwater life without giving them a fright. 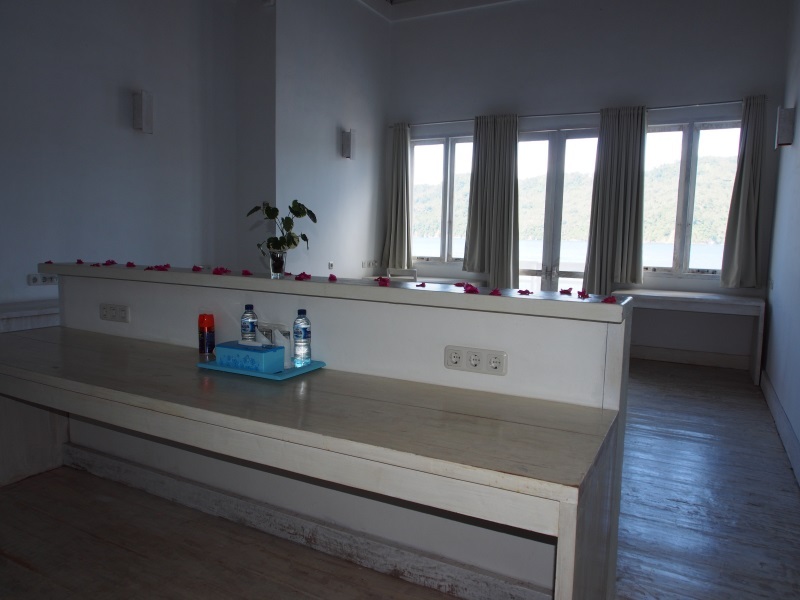 The rooms are all whitewashed and airy with huge windows for lots of light. 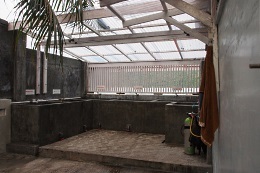 They are thankfully air-conditioned to keep you cool and comfortable during the warm nights. Photographers will feel special here with camera tables and power points galore. 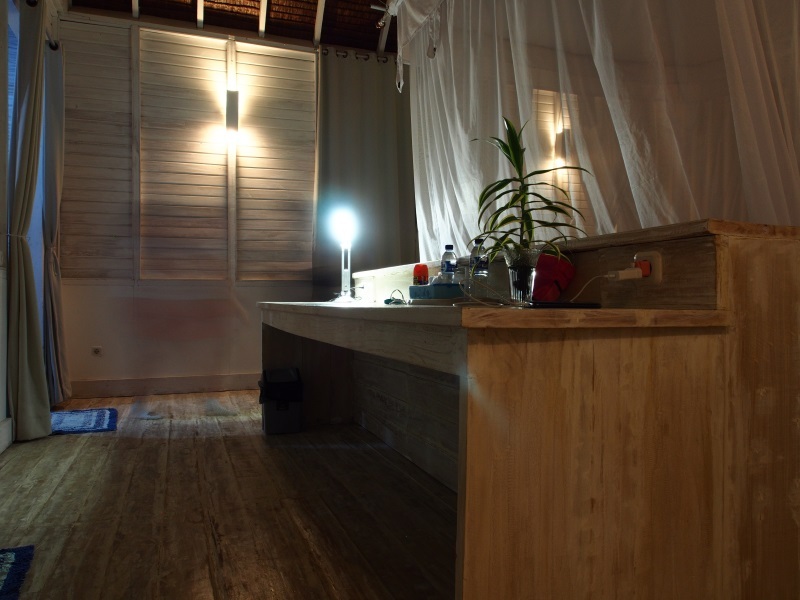 The rooms have open-air bathrooms with a small patio garden inside so you can take a shower with the plants. 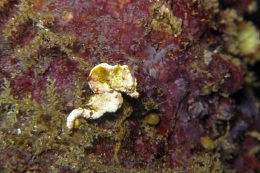 From $990 per diver twin share for 6 days 5 nights. 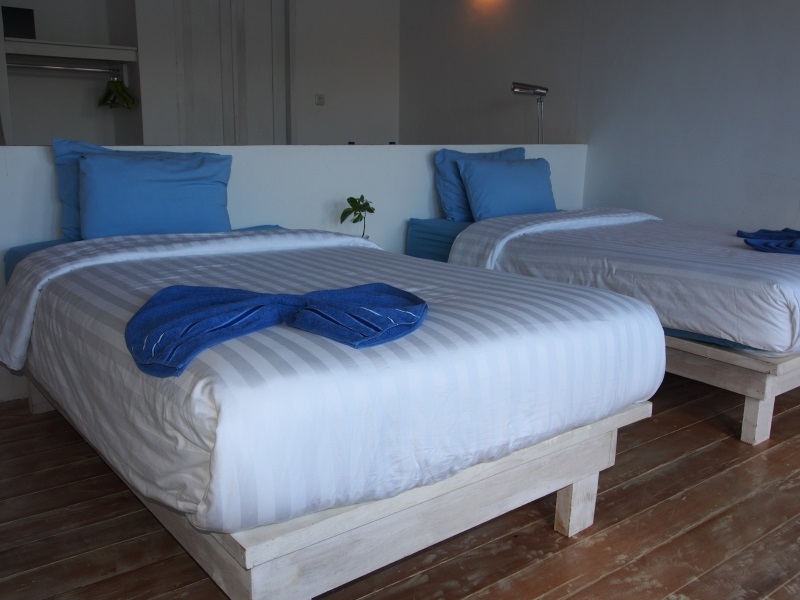 From $614 per non-diver twin share for 6 days 5 nights. 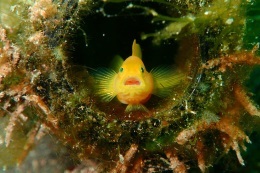 From $1,069 per diver twin share for 6 days 5 nights. 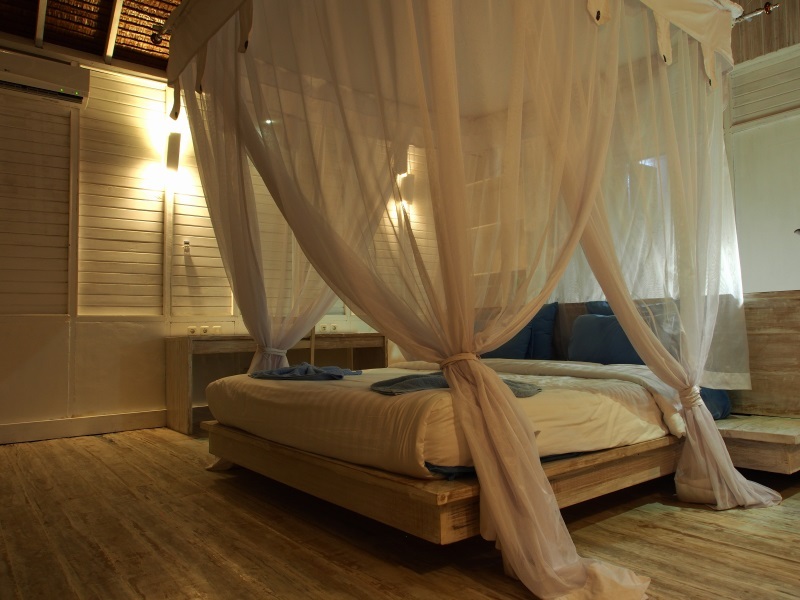 From $693 per non-diver twin share for 6 days 5 nights. 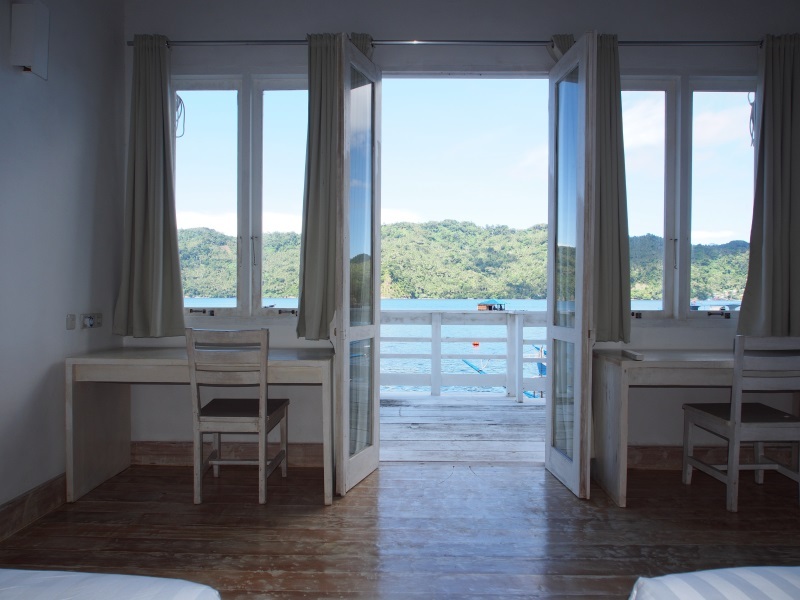 There is only 1 Beach Villa available at the resort located just in front of the beach with a beautiful view of Lembeh Island where you can enjoy the stunning sunrise. 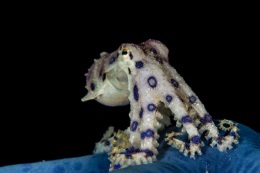 From $1,148 per diver twin share for 6 days 5 nights. From $788 per non-diver twin share for 6 days 5 nights.